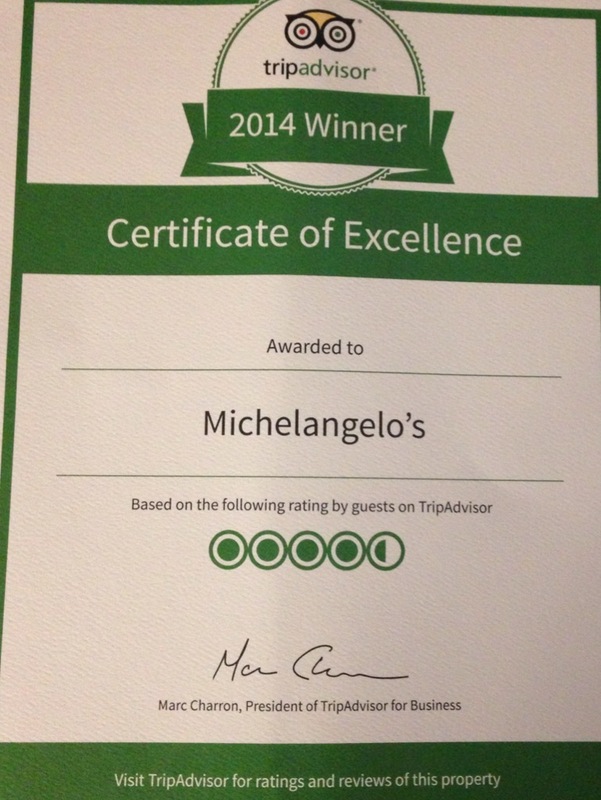 Here at Michelangelo’s, we’re proud to announce that we have won a TripAdvisor Certificate of Excellence two years running. Receiving an average rating of 4.5/5 in terms of excellence is a great achievement and bodes well for our future as a restaurant. 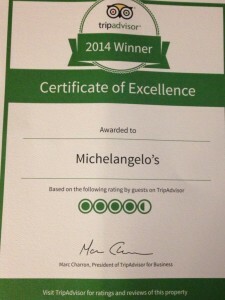 You can visit our TripAdvisor page by clicking here. Feel free to leave us your own review!